The latest update on the Underrail development blog introduces a new feature that has been added to the game - environmental hazards. Or to be more specific, fire and gas. Hey guys, we took a couple weeks off in August/September to recharge our batteries, but we're back now and we're kicking it into high gear. While we're also working on new areas and quests (we'll get to that in some future dev log), I'm taking this time to finally implement last of the game mechanics (not quite done yet). In this case that would be fire and gas. You will now be able to create fire bombs (such as Molotov cocktail) that set character, creatures and the ground on fire as well. The burning ground is very dangerous as it deals both flat and -percentage of max health- damage so you cannot ignore it even on high levels. 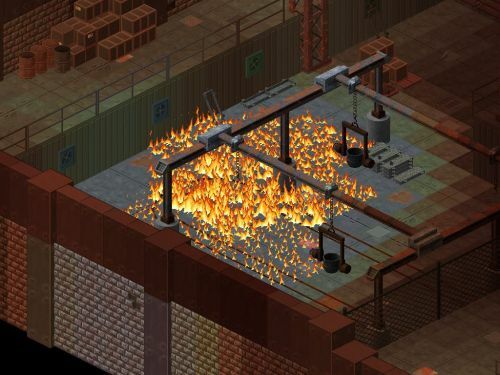 The amount of damage dealt depends on the intensity of the flames (which depends on the power of the fire bomb, but can also stack if you throw multiple bombs). You'll now also be able to craft gas grenades. The only type of gas grenade at the moment is "Toxic Gas Grenade" which deals flat bio damage. The damage dealt depends on the density of the gas (it's more dense at the source). While toxic gas doesn't deal damage quickly, the grenade does last for a long time and also bio resistance is currently not present on standard combat armors and if introduced later it will not be in generous amounts. Specialized equipment to deal with this and more powerful bio-hazzards will be added in the future. 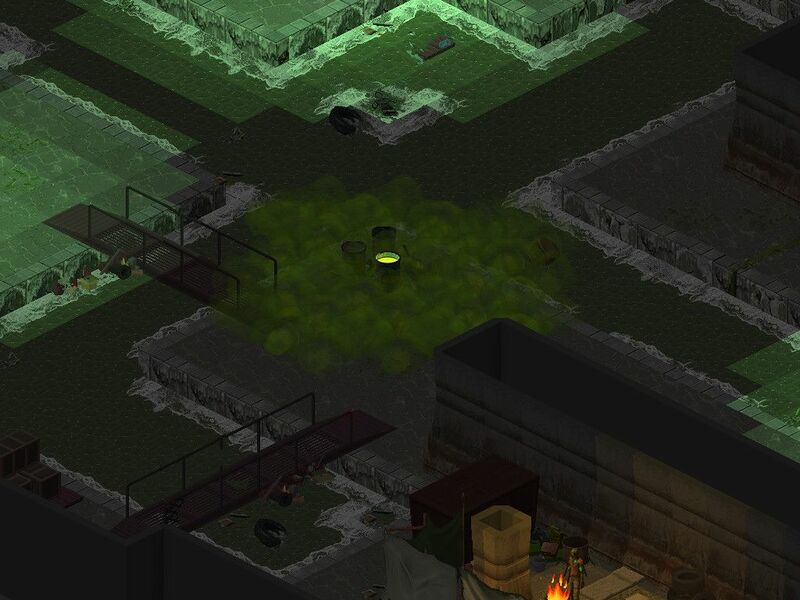 Also, players will encounter permanent sources of toxic gas in certain places (such as the one on the screenshot). Deus Exy and Deus Exier! In addition to that, Styg has implemented some improvements to the game's UI, which you can read about in the full update.